If you think our Birdorable birds are cute as adults, what about when they are babies? 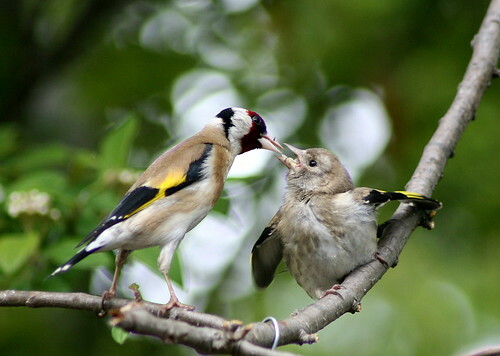 Below are some baby photos (shared via Flickr) of the European Goldfinch. 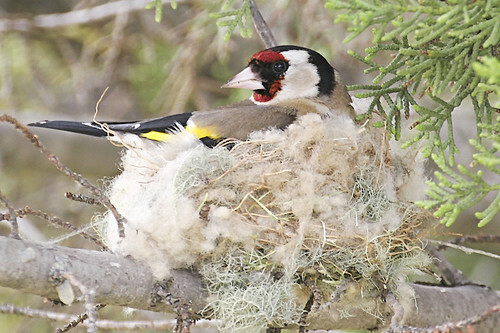 European Goldfinches nest in early spring, unlike their American counterparts. They lay 3-7 eggs in a cup-shaped nest, and incubation lasts 10-14 days. Babies fledge at approximately 2 weeks after hatching. Pretty cute, right? 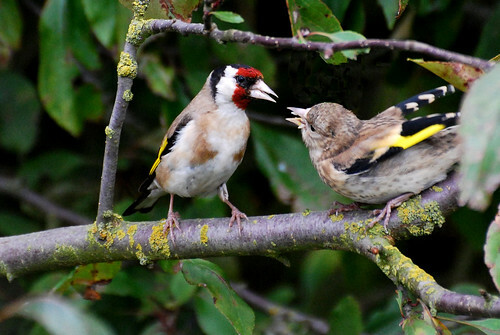 Be sure to check out our (adult) Birdorable European Goldfinch t-shirts & gifts! 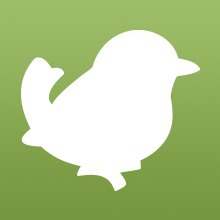 2 comments on "Baby Birdorable: European Goldfinch"
Hi! I've just come across one of these as a baby and I need to know what to feed it! Hi Georga, I would recommend trying to reunite the chick with its parents over taking it in. Baby birds are best raised by their own kind. Otherwise I would suggest trying to find a licensed wildlife rehabber to help you. 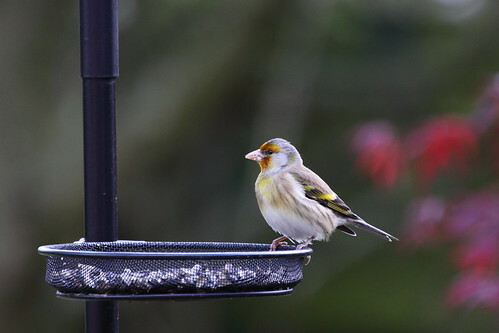 Adult finches will take a variety of seeds but I don't know what kind of diet they have as chicks.